The Dometic Chescold RC1180 is the most popular 3 way gas fridge in Australia currently. 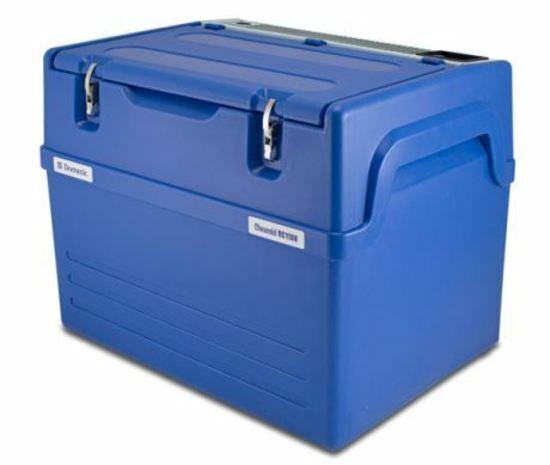 They are the perfect fridge for beach camping, caravanning and long term travelling. Cheap to run, one 9kg gas bottle will last 2+ weeks. Decent sized fridge & freezer sections. Divider able to be removed to make the whole unit fridge or freezer. Able to be run from 240v 12v & Gas. So far, upon checking right now the website Product Review has received 14 reviews for the Dometic RC1180, and has a 4.1/5 star rating. Purchased my RC1180 second hand 10 years ago. Never had a problem, good sturdy and can take a knock. Great cooling & freezing capacity. Built to last - 15 years and going strong. Able to stay in one place without having to worry about batteries, 1x 4.5kg bottle lasts exactly 10 days. Works great as a fridge & seat! Can enjoy ice-cream while camping! No hassles with batteries or solar panels! Needs to be as level as possible to work properly. To operate on 12v you need extra heavy duty wiring. Uses a lot of power on 12v. Do not forget to swap to gas when you get to camp! Your battery will be flat in no time! 12v is not worth using. Heavy & Hard to lift when fully loaded. Carry handles could be better. Awkward to carry for longer distances with current handles. Like what you read? Get your Dometic Chescold RC1180 from Tentworld! Click here for specifications and pricing!